"Political advertising ought to be stopped. It's the only really dishonest kind of advertising that's left." Spam. Top of the list has to be spam of all sorts, which descends on people's personal and professional email addresses and causes major credibility problems for the entire field of email marketing. Miracle Cures. While the FDA mandates strict rules for reputable pharmaceutical organizations promoting real products that can make an impact in people's lives, miracle cures like Trigosamine http://www.trigosamine.com/ buy full page ads in the NY Times claiming 100% efficacy in clinical trials (no exaggeration) and promise to reinvent your life … all without needing any approval from anyone at all. It is no wonder the pharma industry has a trust problem. Credit/Financial Offers. From sneaky credit reporting offers signing you up unintentionally for useless "monitoring" to pre-approved credit offers that many blame at least in part for the recent financial crisis, there are no shortage of dishonest tricks when it comes to the unscrupulous within the financial industry. 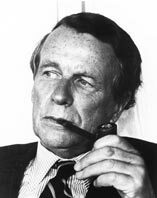 Though I wish David Ogilvy were right about political advertising being the only dishonest form left, clearly there are others. If there were a cause the marketing industry would do well to take up, it would be to fight these forms of marketing anywhere they appear. As a marketer, don't work on them. As a publisher, don't accept ads from them … and as a consumer, don't give them any attention. Maybe we can still make Ogilvy right again.